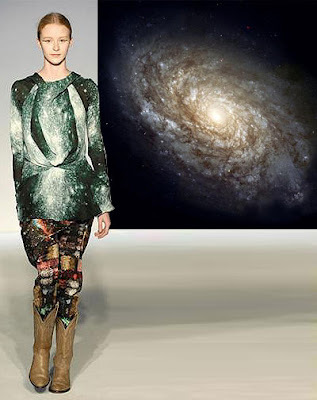 Though out history of all cultures all over the world, we have always been inspired by the beauty of the cosmic constellations and the mystries behind each sparkling stars in the sky. 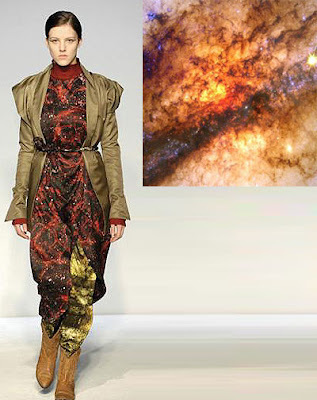 And being a true fashionista like our blog reader, I am sure all of us would loves to wear our best Chanels, sipping Veuve Clicquot & gaze at the stars at nite and being amazed the beautiful starry sky above us! The ever-onward Karl Lagerfeld (Also the head designer for house of CHANEL) is not inclined to the backward glance. So in a season when everyone else is doing their version of the 1980's, a decade he helped define, it made perfect sense that he was focused on the 2080's-or, OK, at least the future. 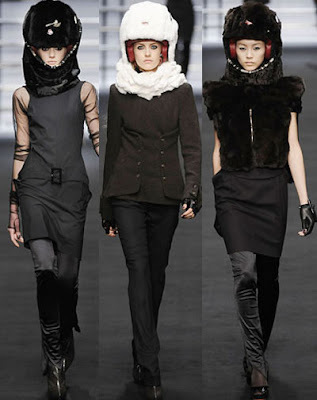 Even tho it's totally a show piece but I think the astronaut inspired fur hat is kinda fabulous! The house of CHANEL is one of the world most known brand for their Haute Couture fashions and one of the kind jewelry pieces. 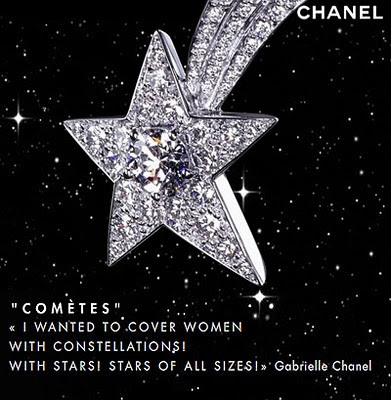 "Gabrielle Chanel" the founder of the house of Chanel has always been fascinated with the stars and the constellations in the sky. 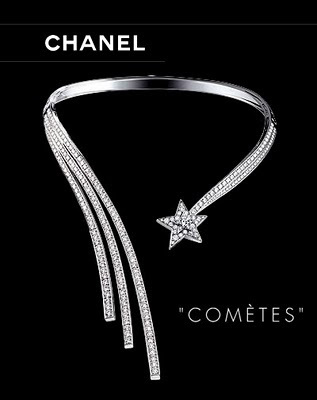 and here is one of the signature jewelry piece from their "Cometes" collection..... minimal yet extravagant, simply fabulous! When I saw these handmade one of the kind jewelries by "Treacletoffee" from west of England, I just had to get some of them! 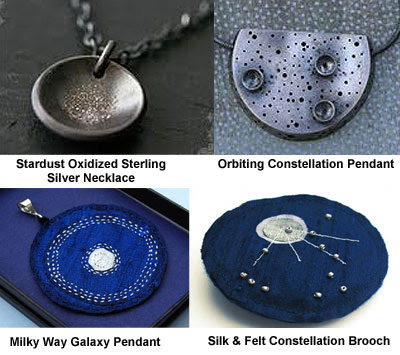 She use all different type of materials such as silk, felt, metal, glass beads to make these cosmic inspired necklaces, pendants & brooch it's simply brilliant! 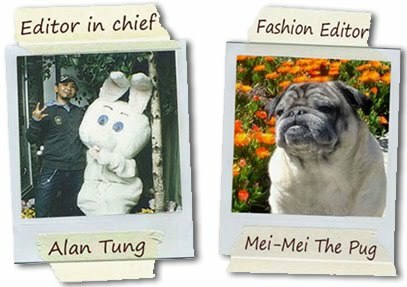 I love these 2 super talented Up & Coming design duo Peter Pilotto! 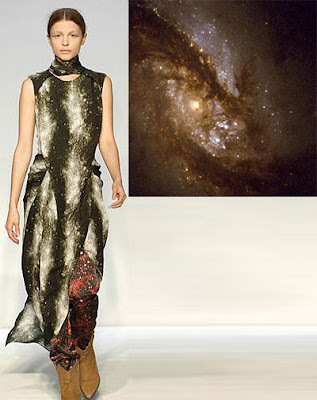 In their Fall/Winter 2008 collection, they presented scattered prints and soft sculptural shapes inspired by 'the mineralogist' (an image from 1830 that illustrated a mineralogist with all his discoveries placed on his outfit). 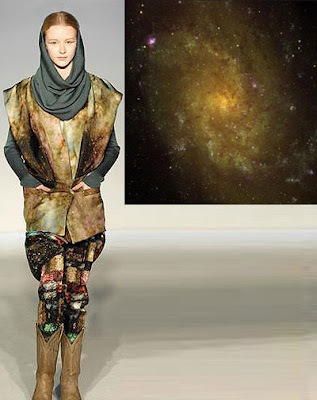 But to my eyes, each outfit bears a striking resemblance to those massive, gravitationally bound systems consisting of stars, gas, dust, and dark matter we know and love as galaxies. 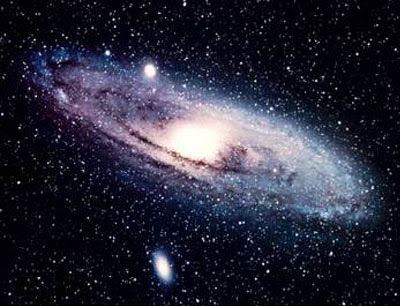 Historically, galaxies have been categorized according to their apparent shape (usually referred to as their visual morphology). And given the unusual amorphous shapes of this collection, the visual morphology is truly otherworldly. We hope you enjoy this posting and help you feel inspired to find the inner cosmic goddess in you! untill next time......be well & look fabulous!